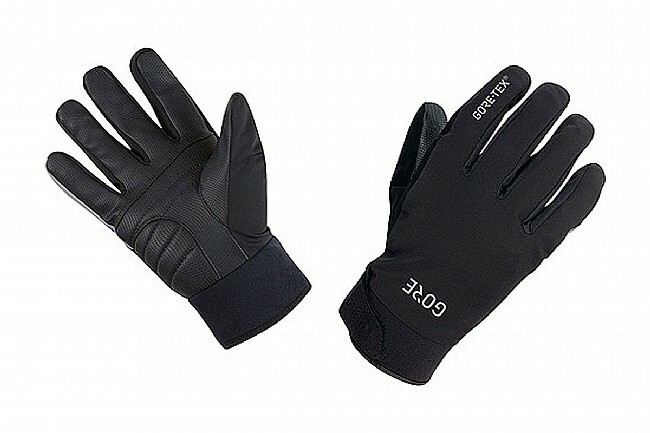 The Gore Wear C5 Gore-Tex Thermo Gloves is designed to keep your hands warm and dry during winter cycling adventures. This versatile glove features Gore's Thermo Lining for optimal insulation, and Gore's windproof, waterproof, and breathable Gore-Tex membrane for complete protection. A synthetic leather palm improves the glove-bar interface for outstanding grip, even in heavy showers over uneven terrain. Additional fine touches include foam padding on the palm to dampen road vibration, and a soft, absorbent thumb-wipe to absorb moisture. 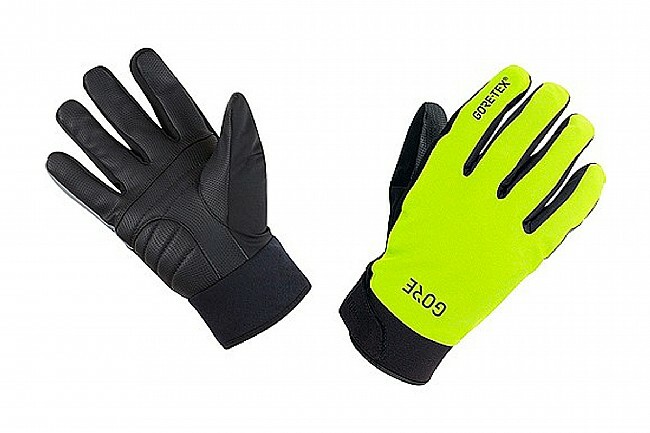 Versatile weatherproof glove with padded synthetic palm. Gore-Tex membrane is waterproof, windproof, and highly breathable. Thermo lining offers enough insulation for cold weather riding, and is soft brushed. Synthetic leather palm for optimal grip. Padding on palm absorbs road vibrations. Reflective logo for improved visibility in low light conditions. Great build and comfort, except for the fact that the thumbs were too short. It was a deal breaker for me. These gloves are well made and warm for temps in the 40 range. I haven't tested the waterproofing, but if they're anything like my other Gore-Tex gear, they should be great. The problem I have with these is the fit. I normally wear a large size for gloves, having only slightly slender handsfingers. Most gloves fit me, well, like a glove. With these gloves the fingers are too short for me and I have to go up to an XL. Problem is, the hand-part of the gloves are too roomy now for cycling - my hands slip around on the handlebars and it's hard to get comfortable. I would say that if you have a stocky build or shorter fingers, these would probably work well for you.